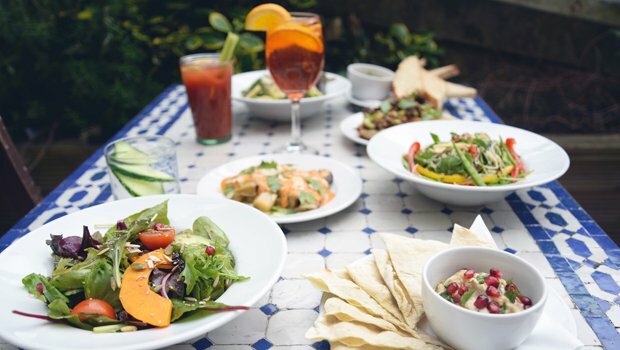 If you're sick of meat dominating the menu or just fancy giving vegetarian cuisine a whirl then here's a list of highly recommended places for vegan and veggie dishes. A pop-up trading venue for artisans and crafters to sell their produce, plus a small sit-in café for coffee, cakes and vegan brunches. Vegetarian and vegan café and grocery store in Woodlands, named after the former long-standing health food shop and deli. Merchant City café offering a sustainably sourced, animal-free menu featuring breakfasts, sandwiches and cakes, plus healthy smoothies. A cool, creative hangout inside the CCA, with exciting animal-free dining, plus separate bar and outdoor terrace. Comfy sofas, laid-back service, good music, craft beers and low prices at this West End vegan café-bar. A cool and relaxing space where responsible and ethical sourcing means great, natural tasting veggie and vegan food. A cool and relaxing space where responsible and ethical sourcing means great natural tasting food. A retro pop-up trading venue for artisans and crafters to sell their produce, plus a small sit-in café for coffee, cakes and vegan brunches. A cool, creative hang-out inside the CCA, with exciting animal-free dining, plus separate bar and outdoor terrace. Bright and cheery Merchant City café offering a sustainably sourced, animal-free menu featuring breakfasts, soups, sandwiches and cakes, plus healthy smoothies.